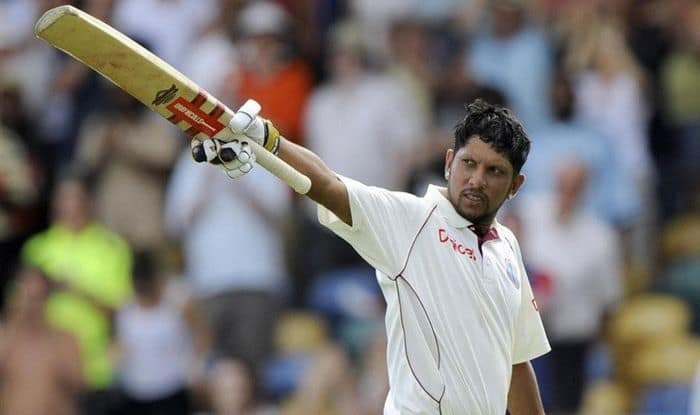 Former West Indies batsman Ramnaresh Sarwan is working with the current team as they prepare for the ICC World Cup 2019, beginning May 30 in England. The 38-year-old has been brought in at the training camp to help batsmen ahead of the tri-nation ODI series in Ireland followed by the World Cup, ICC reported. Sarwan, who played 87 Tests, 181 ODIs and 18 T20Is before retiring with 11,944 runs across formats, is focusing on helping batsmen to improve running between the wickets and finishing games. “I have come here to act as kind of a mentor to the players and try my best to assist them in any technical ways and with any shortcomings where I think they can improve, and to offer as much help to the head coach, Floyd Reifer, and his coaching staff,” Sarwan said. “I know our batsmen have struggled in the past with rotating the strike, so I am trying to see how best we can get them to improve in this area… It is not an overnight fix, but it is important to share ideas with them so that they have something to build on,” he added. Reifer took over as the coach last week and is hopeful that Sarwan will bring in “wealth of knowledge”. “Sarwan was a player that was outstanding for West Indies. A very good batsman, a very good ‘finisher’ in limited-overs matches. We thought that a guy like Sarwan, coming into the camp with us whilst planning for the World Cup, would bring a wealth of knowledge,” Reifer said.